Highland Single Malt Scotch Whisky. Distillery Bottling. 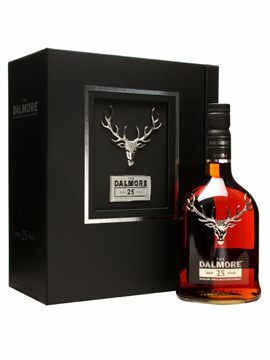 First released in 2013, the Dalmore 25 is matured initially in American white oak before a second maturation in a combination of Palomino Fino sherry butts and first fill bourbon casks. These are then married together in bourbon barrels before a finishing period in Tawny Port pipes. Please allow 3 working days.